Ruhpolding - In the midst of the most beautiful excursion destinations. Active holidays – if you think this only means sports, then think again. For those who want to learn more about Bavaria with open eyes and plenty of curiosity, active holidays also mean exploring new cities with their sights and cultural activities or travelling through especially beautiful landscapes. Many attractions in Bavaria and neighbouring Salzburg and Tyrol offer plenty of chances to enjoy such an active holiday – and are close by too. Not far from Ruhpolding are the Chiemsee lake and Herrenchiemsee Palace, built by legendary King Ludwig II of Bavaria, and the idyllic Fraueninsel island. Just as attractive are other sights such as the picturesque Lake Koenigssee at the foot of the famous Watzmann mountain in Berchtesgaden, the Mozart city of Salzburg with its prominent Fortress Hohensalzburg, or Innsbruck’s Golden Roof. 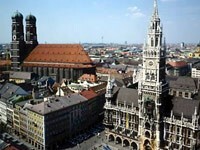 Even the Bavarian capital, Munich, is a worthwhile excursion destination – this large city with heart has many attractions and interesting places for shopping. Whether culture, sights or shopping – Munich offers it all. The Olympic Tower, Nymphenburg Castle, the Frauenkirche church, numerous museums, Marienplatz Square, the shops of the Karlsplatz/Stachus, the famous Hofbräuhaus, Hellabrunn Zoo, the “Bavaria” film studios and, of course, the Munich Oktoberfest – these are just some of the highlights. 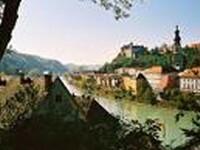 Visit the unique Old City of Salzburg (listed as a gem of World Cultural Heritage), Mozart's birthplace, Hohensalzburg Fortress, Baroque buildings and museums, Salzburg Cathedral, the fountains and zoo at Palace Hellbrunn, and so much more. Or take full advantage of its many cultural events, perhaps even attending the world-famous Salzburg Festival. You also can do the "Sound of Music" tour in Salzburg. Watch the hills come alive on this wonderful ride that gives you breathtaking views of the landscape as it appears on the opening scenes of the film and the classic architecture associated with the movie. 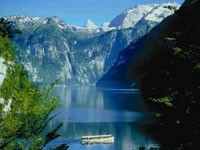 Located not far from Ruhplding is the 190-metre-deep Lake Königssee, surrounded by high Alpine peaks such as the Watzmann. If you take a ferry ride, you can cross over to the often visited pilgrimage church of St. Bartholomae. While on the boat, about half-way across the St. Bartholomae, you can hear the famous echo effect known as the "Echo of the Königssee". One of the most famous tourist destinations in all of Bavaria is Herreninsel Island (about 240 hectares in area) and the royal palace located upon it (modelled on the palace of Versailles), featuring park grounds and fountains, as well as the museum and two galleries in the Augustinian monastery. 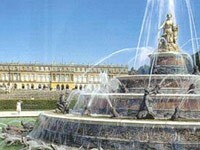 The Herreninsel is easy to reach by ferry. Be sure to visit this Medieval city. Seemingly endlessly, the walls, battlements and towers of the longest castle in Europe (1,043 m) extend out along a narrow mountain ridge. Once up there, you will be able to enjoy splendid views of the Old Town with its proud rows of houses and delightful lanes with a very Mediterranean flavour. Innsbruck - the Olympic City - is always worth a visit. Cultural delights, great shopping and numerous fascinating sights, such as the Old City, the Annasaeule column, the world-famous "Golden Roof", the Bergisel ski-jumping stadium with its panoramic terraces, the Imperial Hofburg Palace and much more - the choice is all yours!